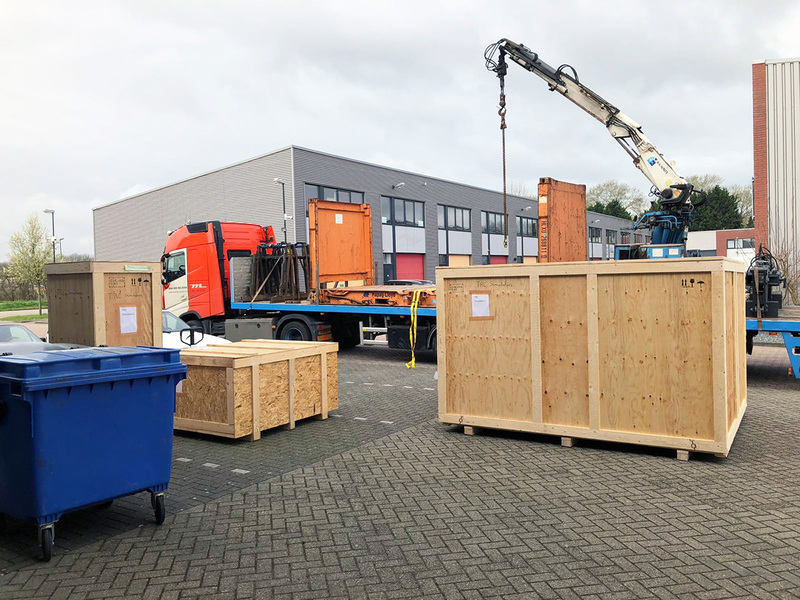 As told earlier a few weeks ago, we ship our simulators to any place in the world. Even if you are located on the 3rd floor of a building in the middle of one of the most densely populated areas on earth. Or for example somewhere very remotely located. 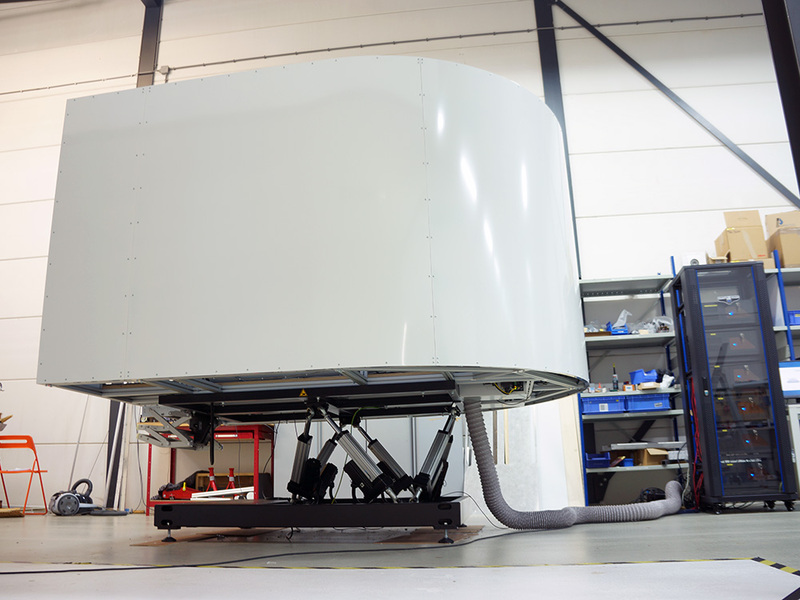 And it doesn’t matter if it is just a flight deck, or a full motion simulator, we can deliver our simulators at your location. 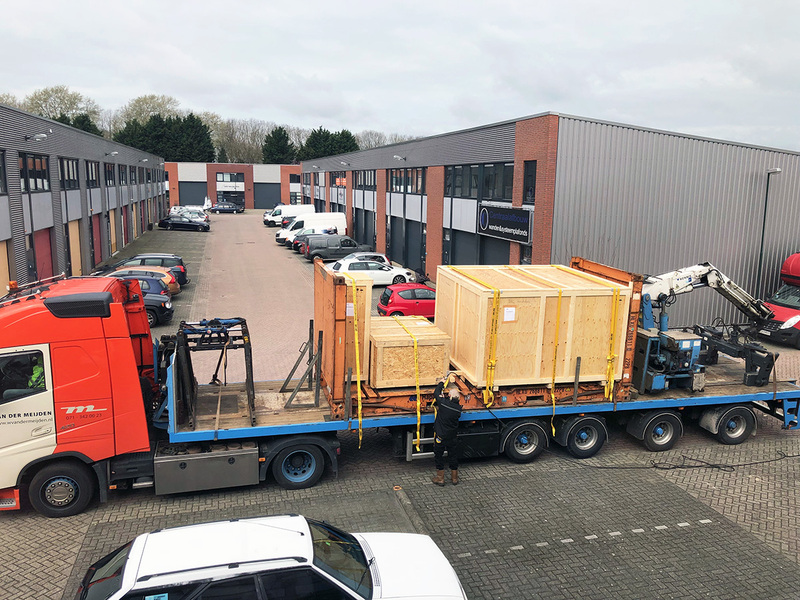 In this case we just shipped a full motion system to our client in Australia. 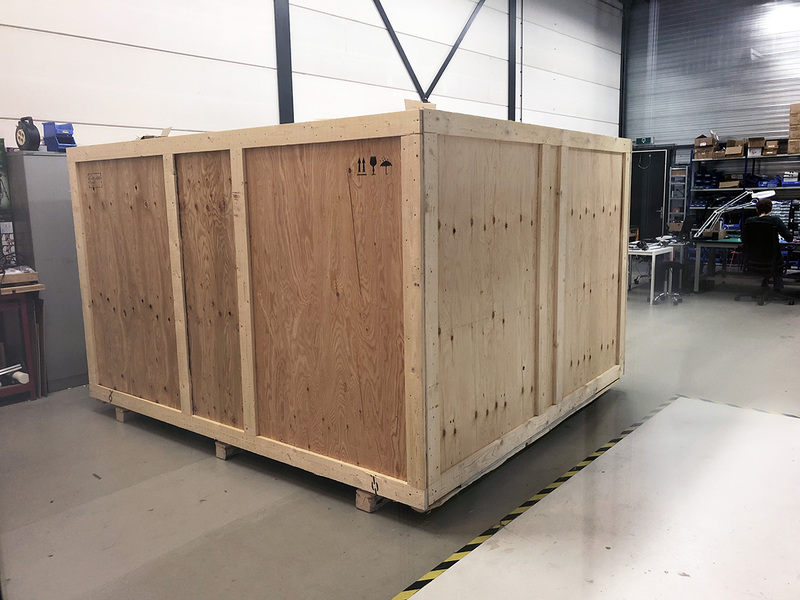 The shipment contains three boxes: One box for the simulator enclosure, including cabin, panel, controls and visual. 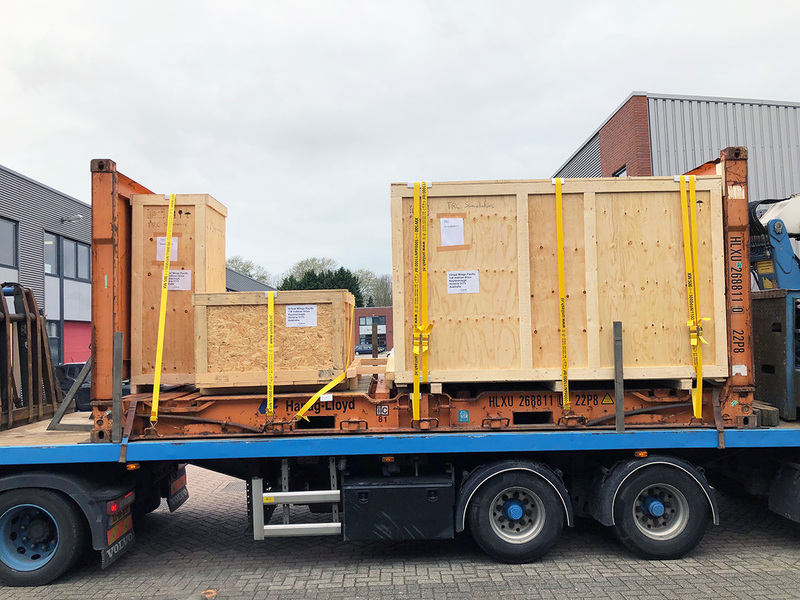 One box for the motion platform. And finally one box for the computer systems that runs the simulator, visual and instructor station. It’s not only a matter of packing the products correctly, it is also very important to ship the boxes in such a way that the can’t get damaged during transportation. These boxes will sail across multiple oceans for six weeks before they arrive at their final location. Therefor the boxes are firmly fixed to the floor of a so called “flat rack” container. We have to use a flat rack container, since the box holding the enclosure is to wide to fit inside a normal container. The flat rack container does not have a roof nor side walls, but is still stackable. Therefor the container does not take up more space on the vessel than necessary. 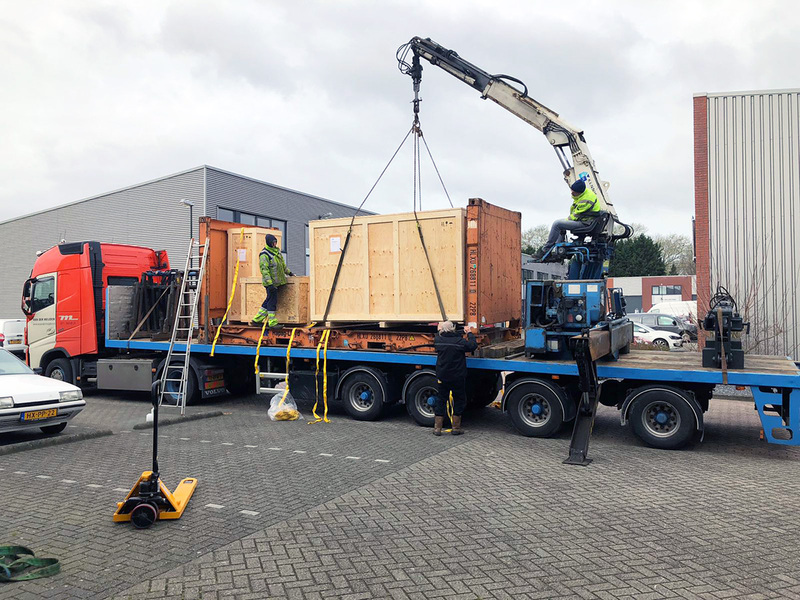 If you want more information about our systems and on site installation and training by TRC Simulators, please contact us at sales@trcsimulators.com.